The Journey Through Justice Program works in cooperation with the Courtroom to Classroom Program offered by Leon County Teen Court at the Leon County Courthouse. Using the program called Courtroom to Classroom developed by local teachers and the Florida Law Related Education Association, the Leon County Teen Court staff visits participating schools and prepares students for a mock trial experience. This hands-on role-playing experience introduces students to the various roles in a trial courtroom. Contact Quenita White at 577-4467 or Dana McMillian at 577-8090 for more information about the mock trial experience. The Mock Oral Argument Experience occurs after the mock trial experience and allows students to step into the roles of the court and act out one of the many hypothetical appellate cases. This hands-on role-playing experience fosters critical thinking and is a great addition to the Classroom to Courtroom Program. No advance prep work is necessary. Contact Emilie Rietow at 921-9446 for more information about the mock oral argument experience. 12:30 - 12:45 walk to Capitol Bldg. Groups will be divided into two. While one group is participating in the mock trial, the other will be touring the county courthouse. Groups will be divided into two. 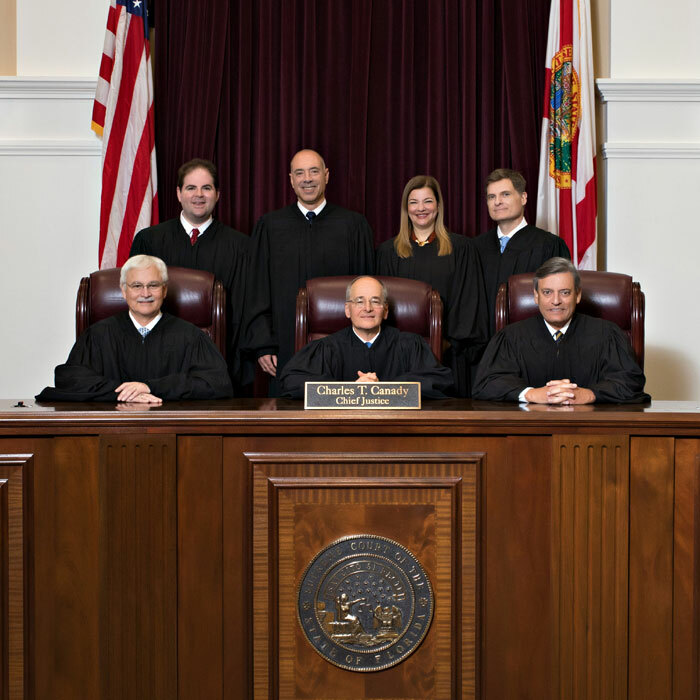 While one group is participating in the mock oral argument at the Florida Supreme Court, the other will be conducting a mock legislative session in the Senate Chambers at the new capitol. This tour is normally led by a staff attorney or knowledgeable volunteer. Students act out an oral argument by using a hypothetical case and play the roles of justices, lawyers, the Clerk and the Marshal. The Mock OA lasts 90 minutes. Mock Legislative Session in the Senate Chambers: Students will be briefed in the history of the Chamber, determine an appropriate topic for a new Bill, debate the topic (with a Senate volunteer as the facilitator) and vote to pass the Bill. Mock Session lasts 45 to 60 minutes. Contact the Senate Secretary's Office at 487-5270 to make your reservation. NOTE: This schedule is very flexible. If unable to work the new Capitol into the schedule, other arrangements can be made for the afternoon portion of the field trip.